I had many fears in life. I was afraid of loneliness and death. I was afraid of what other people think of me. I was afraid of getting broke. And lately, with this weight loss program I'm in, I feared gaining weight! But then, I realized that I have to start conquering these fears so I can move on and live my life to the fullest. Are you also like the old me? 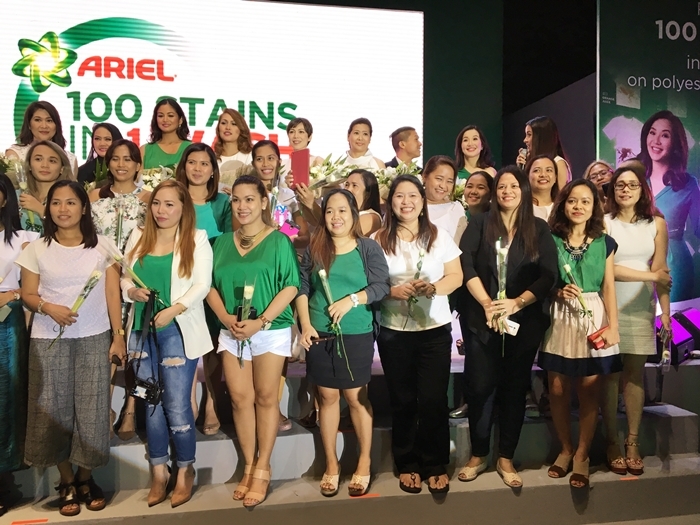 In the recent Wash Your Fears Summit, Ariel, the world's leading detergent, honored 100 Fearless Filipinas who are passionate in pursuing their goals. 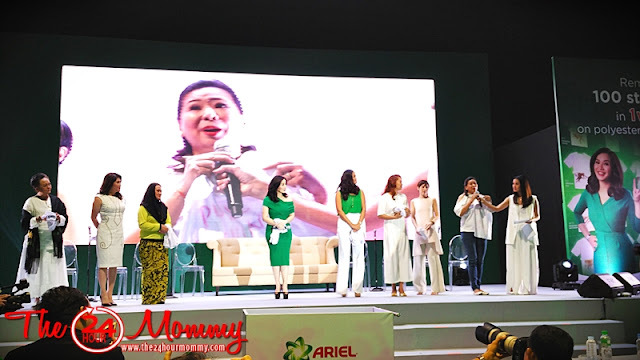 The event gathered together female celebrity influencers, media, bloggers, community advocates, and workers who are known to be fearless in their various roles. I am honored to be chosen as one and recognized as a "Fearless Mommy Blogger and Media Missionary." Before the event started, we were asked to choose 1 staining ingredient among the 100 displayed and write our biggest fears on our white shirts. 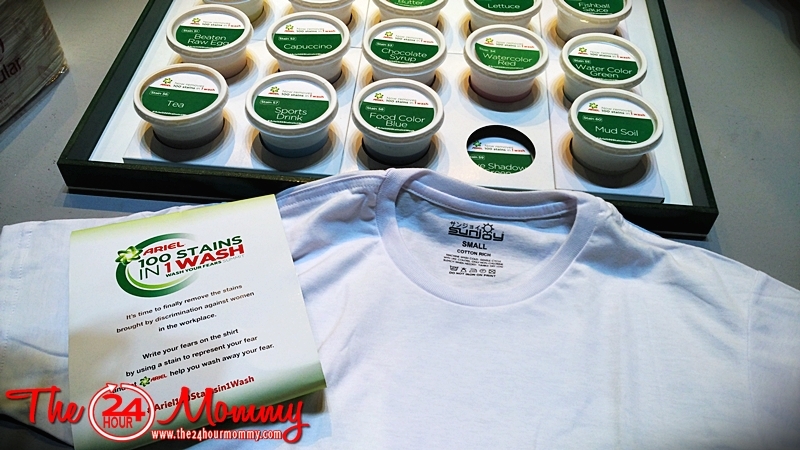 I choose the green watercolor stain. After that, I took the shirt and surrendered it to the bin that collected all the stained shirts. 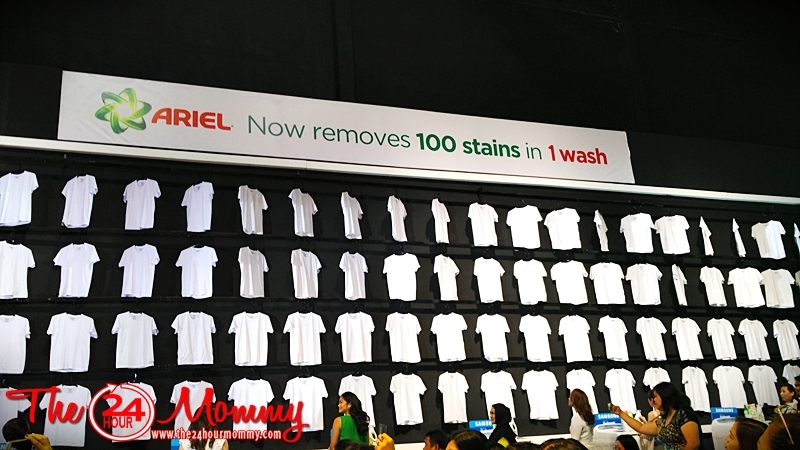 These were washed with Ariel while the event was being held. 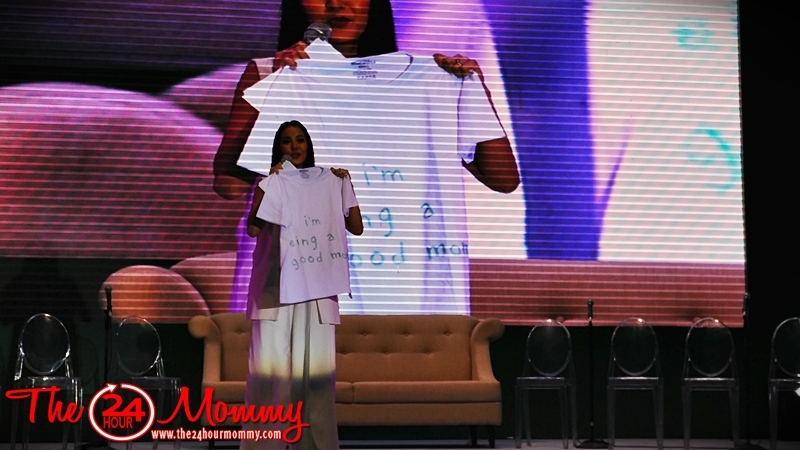 The summit was hosted by Bianca Gonzales, a Fearless Mommy Celebrity herself. See? Even a beautiful mom like her who's so successful in her career can still be afraid of not being a good mom. 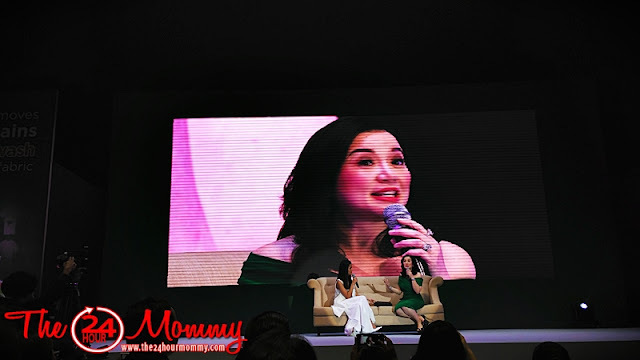 Aside from her and Ariel's brand ambassador, Kris Aquino, other celebrity influencers joined the panel discussion on stage. They are fearless beauty queen, Miriam Quiambao; fearless advocate for peace and development, Amina Rasul; fearless advocate for health and environment, Anna Kapunan; fearless advocate for children's education, Marilou Chua; fearless journalist, Samira Gutoc-Tomawis; fearless entrepreneur, Mandy dela Rama; fearless lifestyle columnist Mons Romulo; fearless female pilot, Aimee Carandang Gloria; and, fearless founder of The Cravings Group, Badgie Guerrero-Trinidad. 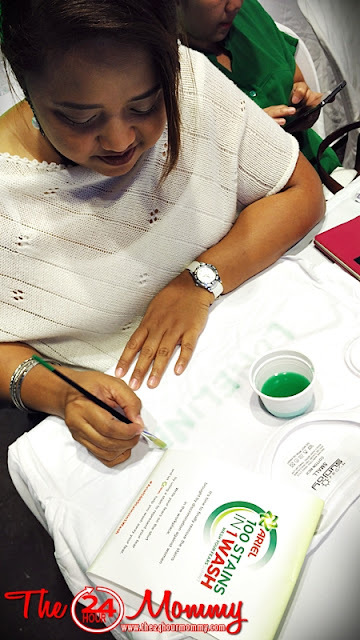 Emmeline Verzosa, Executive Director of the Philippine Commission on Women (PCW) and Maria Clara Ignacio, Chief of The Women’s Center – Technical Education and Skills Development Authority (TESDA) were also invited as key note speakers to provide deeper context on the ‘State of Filipinas’ today. All women in the panel shared their inspiring stories on how they recovered from the many stains they encountered in their pursuit of their dreams and ambitions. 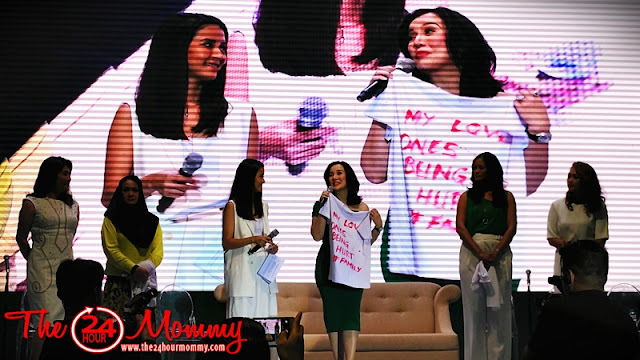 Kris shared that her greatest fear is her loved ones being hurt. Even with all her accomplishments at her back, she says that she still cannot guarantee that there will be no challenges in her life. She just learned to use the last ounce of strength to stand up and face her fears. Meanwhile, Miriam credits her faith in the Lord for her triumph amidst the dark moments in her life. 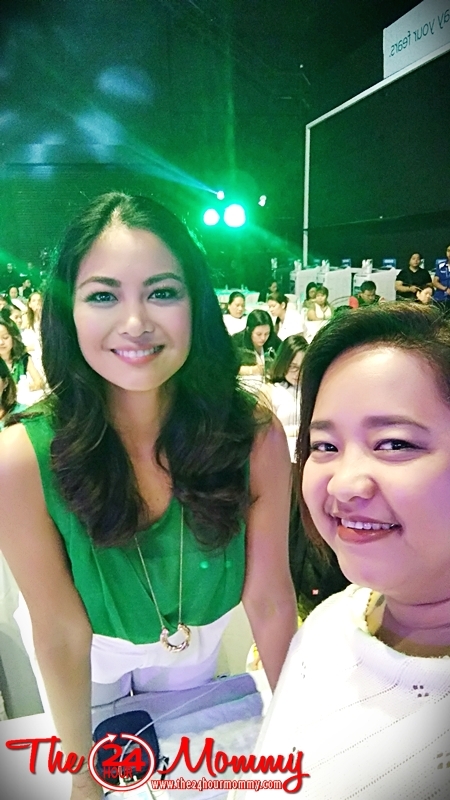 She believes that Filipinas are strong because, like her, we love to pray. 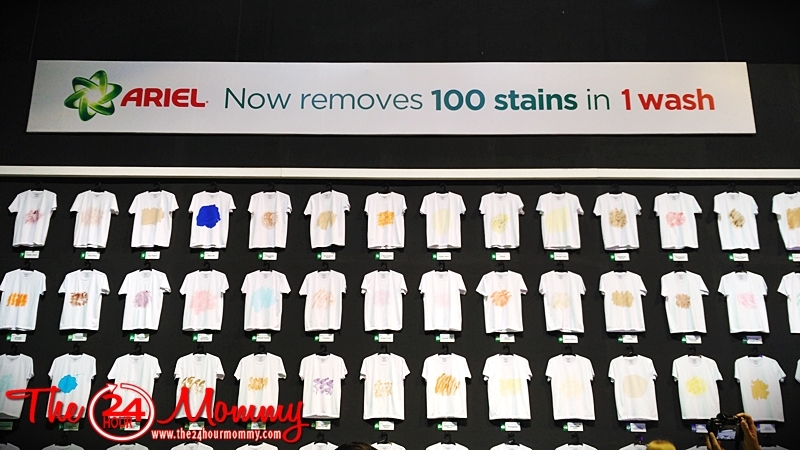 And before the summit ended, the stained shirts that we threw in the bin were already washed and hung for everyone to see. 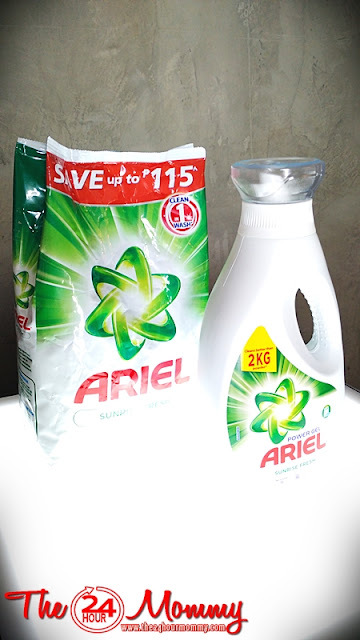 Truly, the stains were no match for Ariel's superior stain removal! Arie's optimized formulation contains a higher level of active ingredients and smart enzymes that removes stains in just 1 wash. This means worry-free laundry experience for us women because we'll have more time for ourselves and the people around us. Remove 100 stains in 1 wash and be fearless in facing any challenge that might come your way with the new Ariel, now available in supermarkets nationwide. 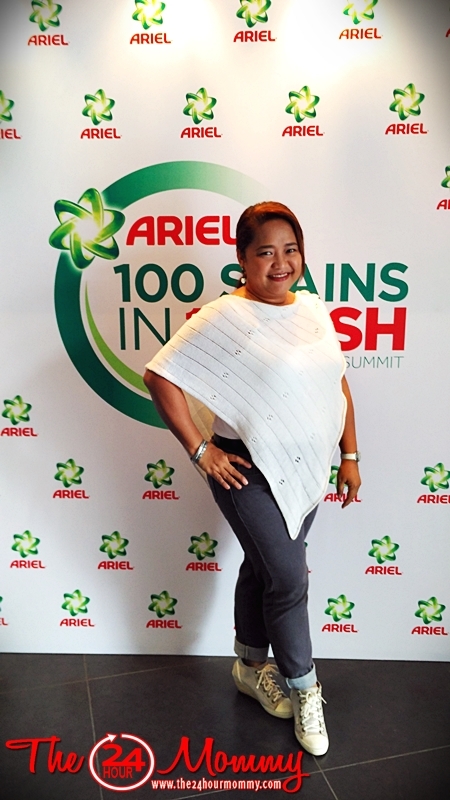 More information can be found on www.facebook/arielphilippines or follow the conversation online with the #Ariel100StainsIn1Wash hashtag.